The Villa Giona, just outside of Verona, Italy, is a beautiful 17th century estate consisting of a boutique hotel, vineyard and lovely grounds. It is wonderful destination in the northern part of Italy and can work as a base for many side trips. They grow much of their own grapes for great wine, and also produce fine olive oil. 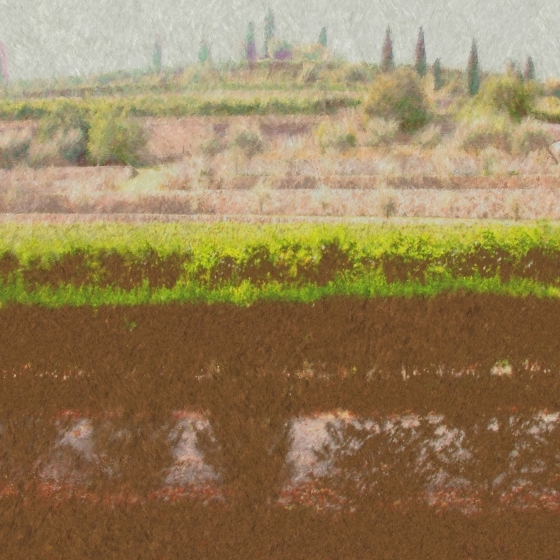 This series is a view from one of the pathways, over the vineyard toward the hillside terrace, which is covered in olive trees.